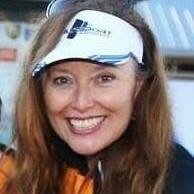 I have been a USAT triathlon coach since 2011. I started racing triathlons in 2007. I went to school at the University of North Dakota and studied aviation. I have a commercial pilot license with an instrument rating. I’ve been married 28 years and have four children ages 18, 20, 22 and 24.